For some odd and strange reason, each and every one of our customers is different from all of the others. What this means for us as product managers is that we often have to tweak our product offering in order to make our product appeal to a specific set of potential customers. If we do enough of this tweaking, then all of a sudden we’ll find ourselves with a broad product line that only sells a few units of some our tweaks. What’s a product manager to do now? If you watch any television or read any magazines, you probably recognize the Olay line of skin care products – it seems to be just about everywhere. With that much publicity for a product, most of us product managers would assume that the Olay product line must be doing quite well. It turns out that we’d be wrong: the Olay line of cosmetics has been overextended and the parent company, P&G, has decided that its product managers need to fix this problem. So what happened to Olay? 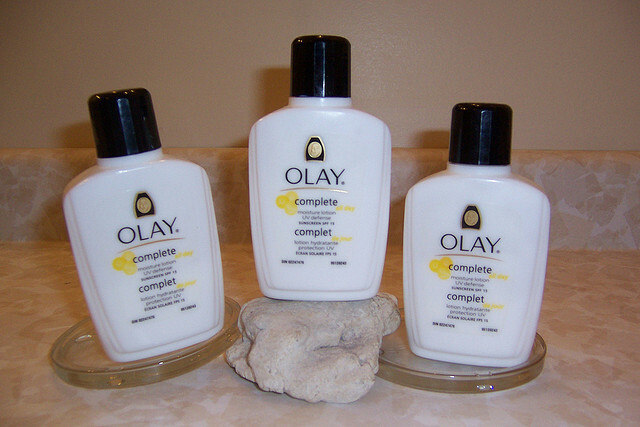 P&G originally purchased the Olay product line back in 1985. Back then, it was a single product that was a facial cream used by middle aged women. The P&G product managers made the brand over and added skin treatments that had previously only been available at high-end department stores. Products in the Olay line now run from US$6 to US$45 and the line has tripled its sales since the line was relaunched in 2000. The problem that the P&G product managers have run into with the Olay product line is that its sales have been sagging lately. The Olay product line generates over US$2.5B in sales for P&G every year. Olay currently holds an 8% share of the global facial skin-care market. The line is not doing so well right now. In the U.S., the product’s largest market, sales have been slipping since 2010. This won’t be looking good on anyone’s product manager resume. This is especially not good because P&G’s beauty division makes up a quarter of the company’s annual US$76B in sales. Clearly something had to be done! In the beauty business, when sales of your product start to slip, there is a traditional way to deal with this. What you do is you change your product development definition and you rollout a new product. The thinking is that the product(s) that you are offering are not appealing to a portion of the market and you need to create a new version of your product to reach this underserved segment. The product managers at P&G took a different path this time. What they did was to eliminate a sixth of the Olay product line – just did away with it. The products that got dropped included Olay products that were designed to treat acne, facial scrubs, and any products that did not fit with the Olay product line’s key message of anti-aging. The result of these changes is that the Olay product line in the U.S. has been reduced to roughly 120 separate products. The thinking behind the P&G product manager’s rather radical approach to boosting sales of their beauty products comes from something that many product managers have known for a long time. If we present our customers with too many different choices, then they are going to become confused and they will end up not buying our product. This decision is going to cause P&G to end up losing some of their customers at the margin – the ones who were buying the products that have been discontinued. However, the bet is that by making shopping for Olay products simpler, P&G will be able to generate more sales for its core products. I’m pretty sure that we’d all like to be the product manager in charge of a global beauty brand that was bringing in billions of dollars in revenue each year. However, with large sales comes large responsibility and this means that the product managers who are responsible for P&G’s Olay product line need to review their product manager job description and find a way to deal with their sagging sales. In the world of beauty products, in order to generate more sales product managers generally create new products that are designed to appeal to customer markets that they have not been able to reach with their existing products. The P&G product managers have taken a different path and have dropped a portion of the products that made up the Olay product line. The new smaller line is designed to better focus on the anti-aging properties of the Olay products. It is expected that P&G will lose some Olay customers because of this change; however, they are hoping to gain more customers who will no longer be confused by the large number of Olay products that they had to select from. I believe that the P&G product managers are moving in the right direction. It could not have been an easy decision to make their product line smaller by dropping products when everyone else is making their product lines even bigger. However, now the P&G product managers will need to clearly communicate to their potential customers that shopping for Olay products has become easier. Let’s see if P&G can make anti-aging even more popular than it is today…! Question For You: Do you think having 120 different products in a single product line is too much for customers to deal with? Let’s face it: selling books is tough work. With all of the other distractions that customers have these days, trying to convince them to buy a book, let alone the book that you are trying to sell, can be very difficult to do. In the world of electronic books, product managers are having to modify their product development definition and try out some new ideas in order to see if they can capture more customers.